You deserve something better! 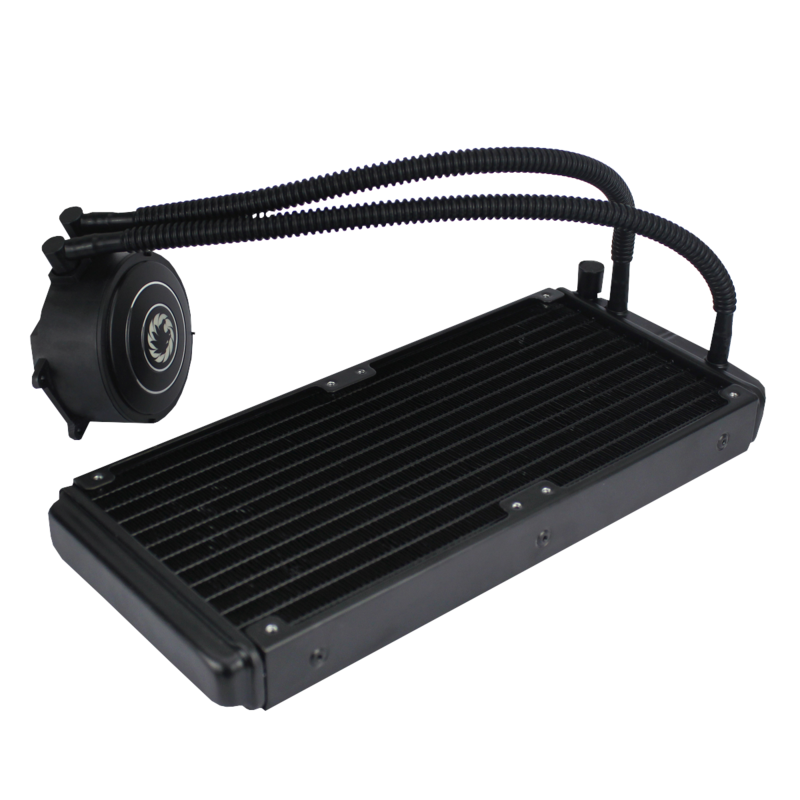 Throw away your CPU fan and put an advanced liquid cooler into your system. 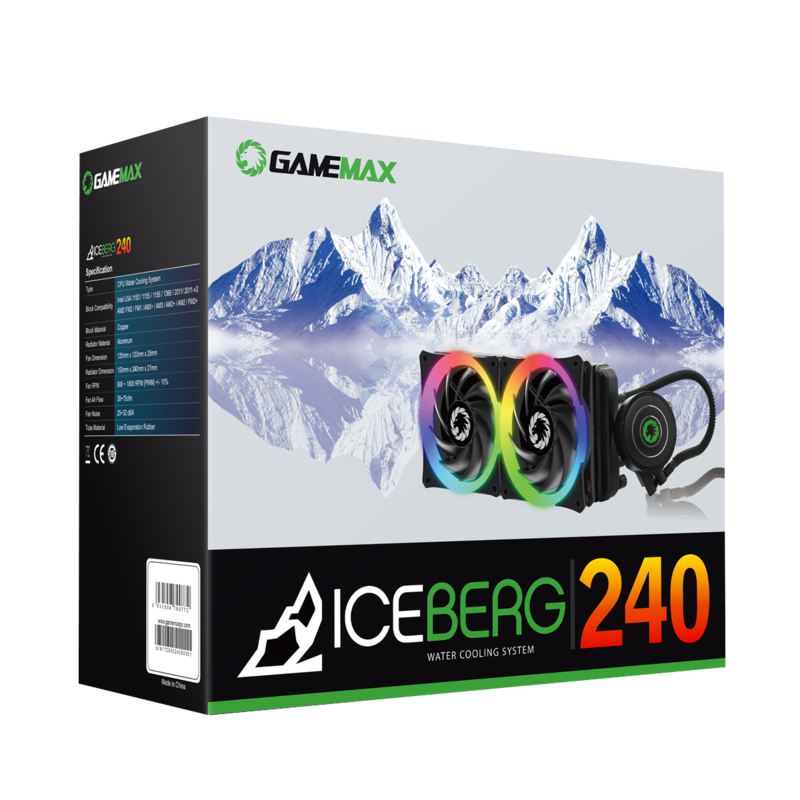 Iceberg series all – in – one liquid cooler, provides your system a much silent and better cooling performance. Secure your system without any harm from over heating. All Copper-Made Cold Plate – As all we know, copper has excellent thermal conductivity than other metal, our copper-made cold plate conducts a better heat transfer from the CPU, providing an outstanding thermal performance. 100% Hassle-Free Maintenance – Manufacturer pre-filled coolant liquid, which saves a lot of hassle installation procedures and no longer needs refilling afterwards. High-Quality Water Pump Manufacturing – Durability is the key to an excellent liquid cooler speed pump. No matter. Separated waterway design. 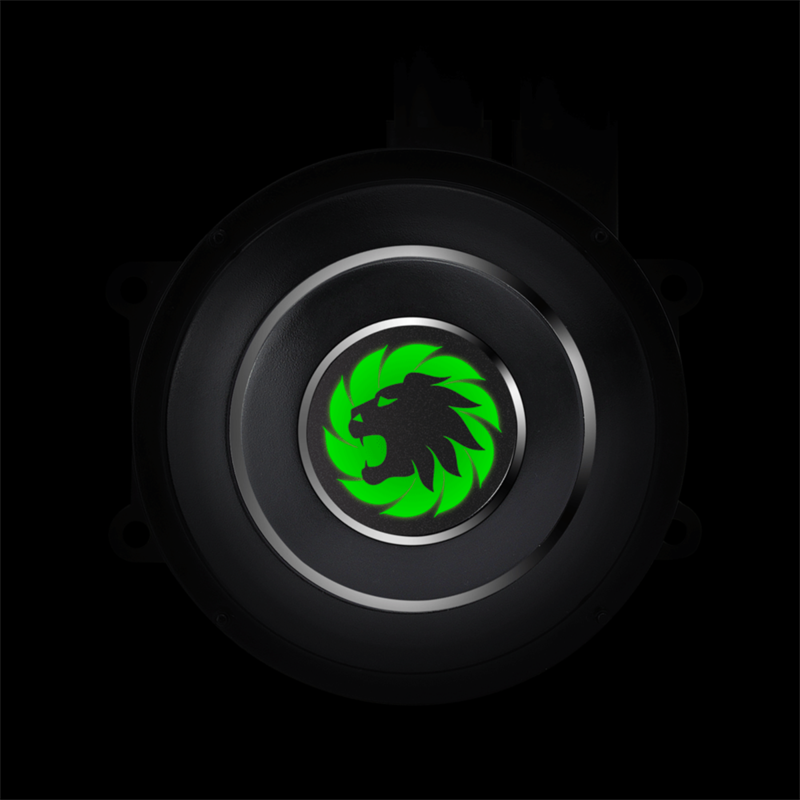 Pump speed moto’s circulation and it’s quality Game Max pump builds the Iceberg series with the best quality and material, therefore bringing a lower noise level and trustworthy reliability. Water Block LED Indicator – Waterblock built-in LED indicator. LED lights up when the cooler operates properly. Further, it brings a better atmosphere to your system. Advanced PWM Fan Design – The 240mm fan changes 7 different colours, colours include: Red, Green, Blue, White, Purple, Orange and Yellow. 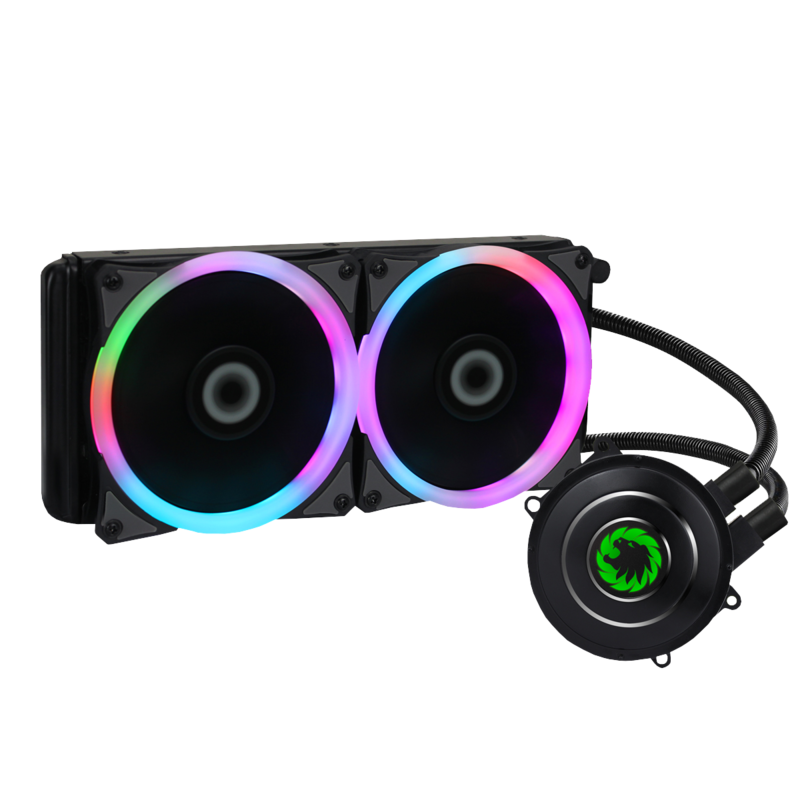 There is also a breathing light mode, a PWM controller is included for better airflow and helps lower noise levels when operating radiators in different chassis situations.